Now researchers know more about your pee than ever before. University of Albertascientists say they have uncovered the chemical composition of human urine, finding there are more than 3,000 metabolites. The finding means new ways to discover what’s going on in the environment and in our bodies. Expanding our knowledge of what we metabolize in our urine means faster, more inexpensive, less invasive and painless ways to test for a variety of diseases. Less than 10 minutes of brisk exercise is enough to fight obesity, researchers say. Findings published in the American Journal of Health Promotion show taking the stairs, jumping rope or going for a brisk walk can have a "significant" impact on helping us maintain a healthy weight and promoting cardiovascular health. According to the study authors, every minute of brisk exercise counts when it comes to maintaining a healthy body mass index (BMI). 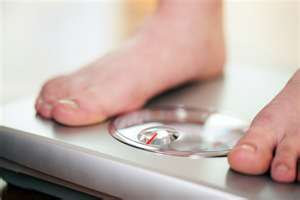 "When it comes to maintaining a healthy weight, every little bit of exercise counts, as long as it’s of reasonable intensity..."
Fan explained that even one-minute of brisk activity can help keep weight in check, which is an important note for helping us maintain weight loss. Current guidelines recommend 150 minutes of moderate intensity exercise a week, but busy schedules often make it impossible to reach that goal.